Volunteers are being urged to “join up” and help unearth the history of the Durham Light Infantry’s “Shiny Tenth”. The regiment’s 10th battalion was raised in 1914 as part of Kitchener’s New Army and fought across the Western Front, including the Battles of Ypres, Hooge, Delville Wood, Arras, Inverness Copse and Passchendaele. But in the 100 years that have followed nobody has written the full story of the “Shinies” – a situation Durham County Record Office is set to rectify. “The 10th was the first of 15 battalions the DLI raised for Kitchener’s army,” said principal archivist Gill Parkes, “but their story has never properly been told. 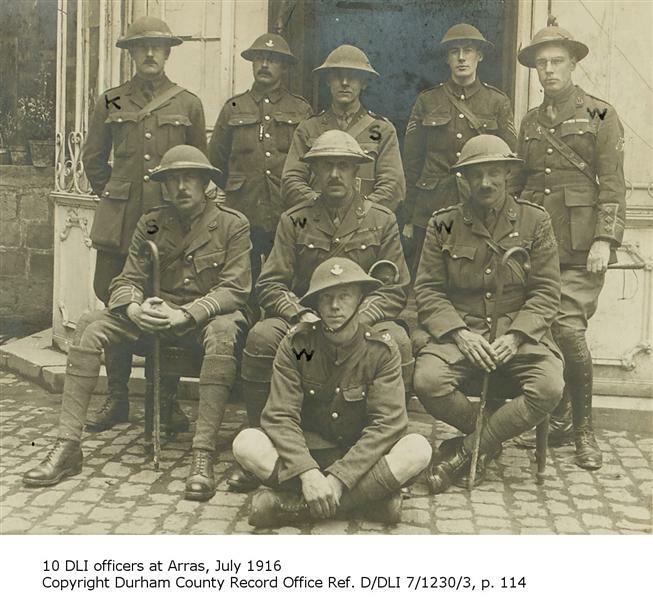 “To make sure it now is we’re recruiting volunteers to help with the creation of an online history, which will be available through our Durham at War website. The project will have access to a wide variety of source material, including previously unpublished family papers and the records of the battalion’s commanding officer, Colonel Hubert Morant. 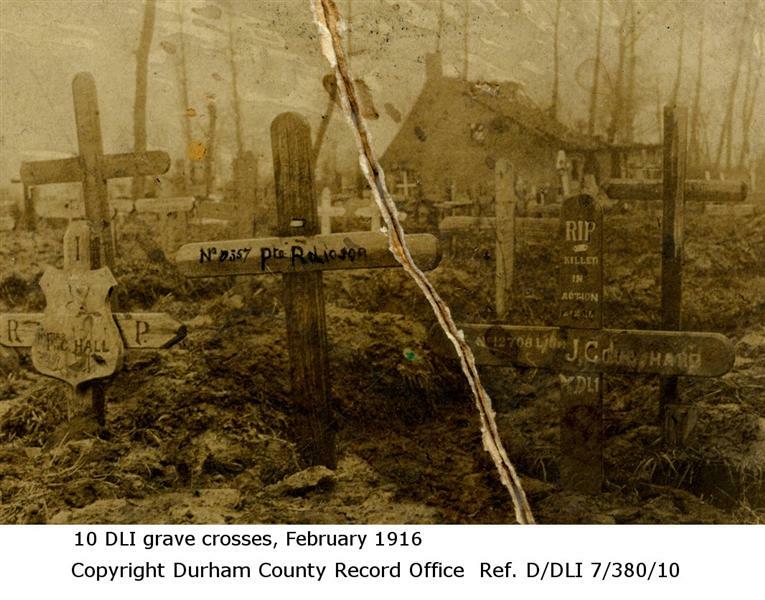 Gill said: “To give an example of how little is known about 10 DLI we have one photo of three grave crosses on the Ypres Salient in early February 1916 that contains at least six stories waiting to be uncovered. – Who was 27138 Private George Hall? – Who was 12357 Private E R Robinson? – Who was 12708 Lance Corporal Joseph Coulthard? – Why was this photo found in the papers of 23087 Private George Leonard Kirby, another 10 DLI soldier, who survived the war? Was he with the three men when they were killed? – What actually happened on 2-3 February 1916? – What is the building in the background? Is it Essex Farm? Seventeen soldiers from 10DLI were buried in Essex Farm Cemetery between 11 January and 3 February 1916. To find out more about the “Second to None – The Story of the Shiny Tenth” project and to sign up, visit Durham County Record Office at County Hall on Thursday 5 May, from 4pm to 7.30pm. The first research session will take place at County Hall on Saturday 11 June from 10am to 12.30pm. People living elsewhere in the country or overseas can also take part in the project by contributing online. To register email contactdurhamatwar@durham.gov.uk or telephone 03000 267 621.